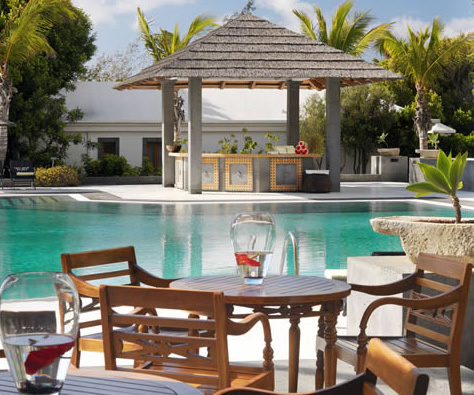 The Gran Melia Salinas Lanzarote is a modern 5 star luxury hotel located in Costa Teguise and only a convenient 16 kilometers from Arrecife airport. The hotel has an enviable location set by the sea and next to Las Cucharas beach. A striking feature of the hotel is an impressive lagoon shaped pool designed by Lanzarote's most famous artist Cesar Manrique. In keeping with its 5 star rating the hotel boasts a host of holiday facilities. 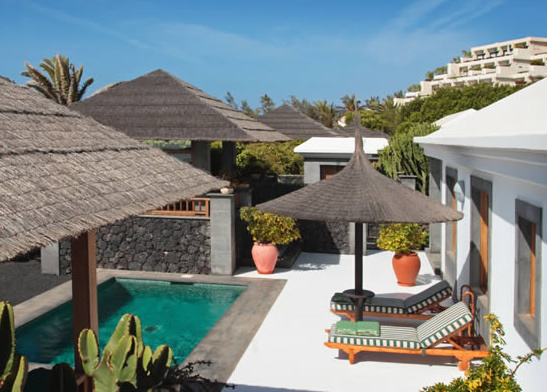 In addition to the accommodation in the main hotel main building the hotel also provides several exclusive private villas within the grounds. 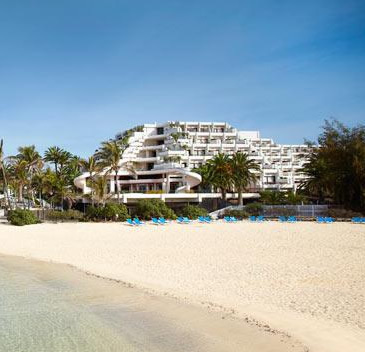 The Gran Melia Salinas has a total of 289 rooms with 253 standard double rooms most of which have sea views. All rooms have, a well equipped bathroom with hairdryer, safe deposit box, satellite TV, mini-bar, telephone and air conditioning. There are 24 junior suites and 2 master suites that have 'Royal Service' this service provides the guests with a range of services including VIP check-in with refreshing towels and welcome drink, pastries and coffee/tea from 10.30am to 6pm, pillow and linen menu, private pool, internet corner, late check-out, and much much more. Another unique feature of this hotel is that it has several private villas, 9 standard villas and one presidential villa. The standard villas cater for 2 guests and are 750 square meters with a 28 square meter pool, the presidential villa features two separate villas in an area of 1200 square meters with a private pool of 35 square meters, there is also an outdoor dining patio, outdoor canopy, exterior porch and solarium, outdoor volcanic shower and garden, these will accommodate 2 adults and 3 children or 4 adults. The hotel's extensive facilities are at your disposal there is the lagoon style salt-water swimming pool, a wellness Center with sauna and massage service. 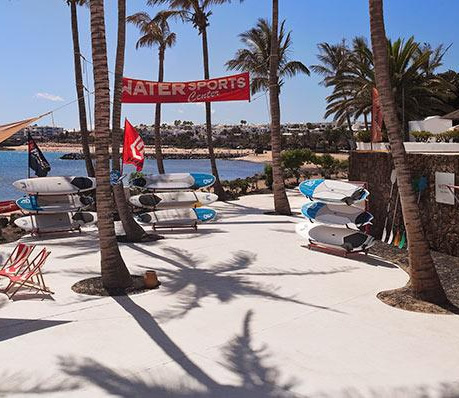 Try out the Nautical sports center with school and rental services: windsurf, kitesurf, diving and stand up paddle. Multi-sport personalised training, mini-golf, multi-purpose sport tracks: basketball, handball and volleyball. Social Club with darts, billards, pitch and putt and golf academy and a fitness centre. The hotel has a mini Club for 5 to 12 years of age. In addition there is a day time and evening entertainment programme. Some services are payable locally. The hotel has an excellent reputation for its cuisine, guests may chose the buffet restaurant Atlantida with live show cooking and daily changing themed evening menus. The hotel also has the Casa Canaria this is a dining complex with three differing themed à la carte restaurants decorated according to style: La Bodeguita - is a Spanish Tapa restaurant, the La Tarantella - Mediterranean style and La Pérgola, a lovely terrace with incredible sea views for à la carte luncheons. 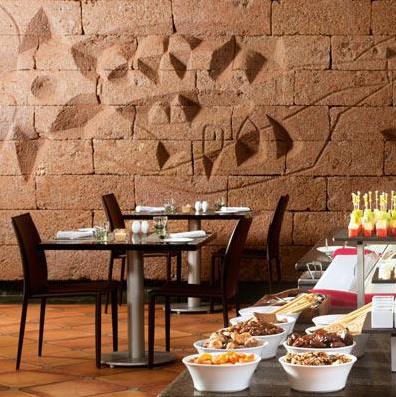 Guests may also enjoy the Guatiza Bar the main feature of this bar is the spectacular Cesar Manrique mural displayed there. The Gran Melia Salinas also has a snack bar by the swimming pool here you can enjoy refreshing drinks and snacks throughout the day. Other facilities available from the hotel include; 24 hour reception service, 24-hour room service, currency exchange, beauty salon and hairdresser, car hire, boutique, Wi-Fi area, internet Corner (additional charge), tour desk, car parking, laundry service, babysitting and medical services (on request) and five well equipped meeting rooms. There is a private pool -The Level, a gallery of shops with jewelry, boutiques and shoe stores, Art gallery with the famous artist Rufina Santana and a Mantra Holistic Centre. (some services are payable locally.